Home Rome Food BlogRecipes How to make the perfect Carbonara? 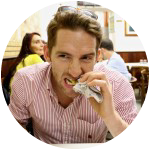 Spaghetti alla Carbonara in Rome is unlike any Carbonara you’ll have elsewhere, Do you want to discover how to make the perfect Carbonara? You are in the right place! Derived from the Italian word for carbon or charcoal burner, carbonaro, the simple, yet precise recipe will leave you wanting more. With the simple ingredients of eggs, sheep’s milk cheese (pecorino Romano), cured pork cheek (guanciale), salt, black pepper, and white wine, this dish is easily prepared, but make sure you pay close attention to the timing, otherwise the creamy sauce won’t turn out right. The trick is to add the eggs over the pasta in the plate and make sure not to add them directly in the pan, which will cause it to become overcooked. There are a couple of different wive’s tales that exist as to how Carbonara really began. One version explains how it was invented by coal workers, i carbonari, working in the nearby Appenine Mountains. It was said that the workers, who could often only carry eggs, guanciale, pecorino, and pasta with them, cooked these ingredients directly over the coal fire. Most people are in agreement with the tale of the coal workers, but as with any wive’s tale, nothing is for sure. The second thought is that in post-world war eras, eggs and bacon were an integral part of the diets of US troops in Italy, and therefore Carbonara became one of their main staples. 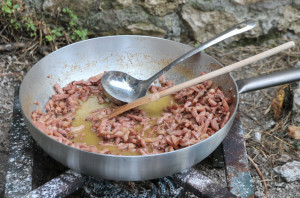 To make the perfect Carbonara, check out food connoisseur Andrea Consoli’s awesome recipe! 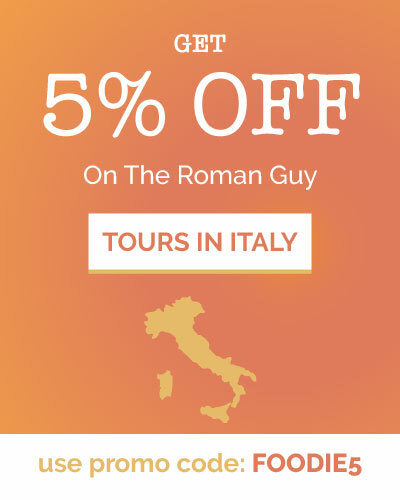 And if you’re planning a trip to Rome anytime soon, don’t miss out on one of his cooking classes! Check out this video from My Kitchen Table to find out the best method to make your pasta fresh. If you don’t have time (or are a little hesitant) you can always buy it fresh! In a large frying pan or skillet over medium-high heat, stir in the guanciale diced with extra virgin olive oil and cook until it starts to brown and gets crunchy. Remove the pan and set aside. Stir in few grains of cracked black pepper, only in case there is not enough seasoning over the guanciale strips previously diced. Put a large pot of boiling water over high heat. When the water is boiling, toss in a tablespoon of salt with the Spaghetti alla Chitarra or Tagliolini. Stir to keep the pasta from sticking. Cook for a few minutes until a piece of pasta tastes cooked (if the pasta is freshly made you need less than a minute to cook, while if it is dried out then you need about 3/4 minutes to cook it). 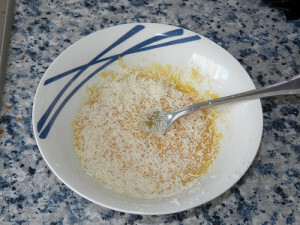 In the meantime whisk the eggs with half of the Pecorino Romano cheese into a bowl, making it as smooth as you can. When the pasta is cooked, drain it and add it to the frying pan with the guanciale mixture scooping out some of the boiling water; this will help you to moisten the pasta while sautéing. Sauté over high heat for a few, scooping out more water from the cooking pot just in case it starts to dry out. Then turn off the heat and pour in the eggs, stir quickly until you reach your preferred consistency (but make sure it will not dry out, otherwise the eggs will turn your dish into a big omelette!). Season your dish with a good dose of Pecorino Romano cheese grated and garnish with pepper. Serve immediately, as this dish dries out very quickly. Note: make sure to save some of the pasta cooking liquid to add if the Carbonara starts to dry out. The trick is to rush the pasta to the table on warmed plates. Discovered how to make the perfect carbonara? Want more? 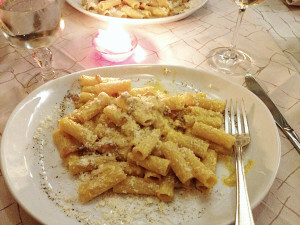 Why not try one of our food tours in Rome, the birthplace of the carbonara!